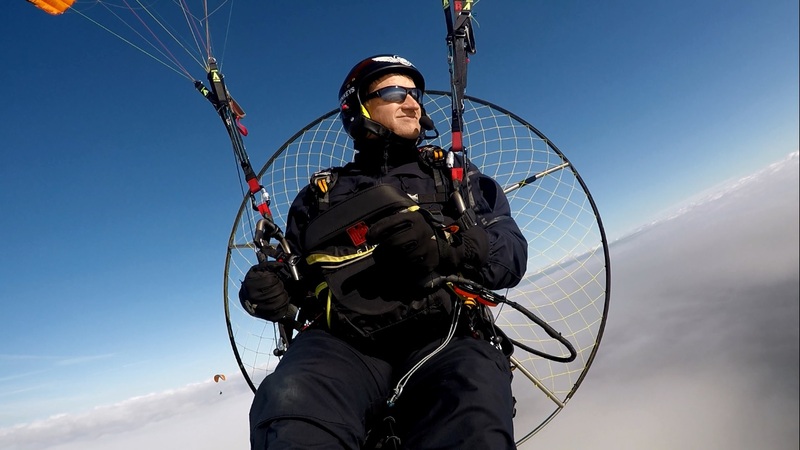 This spring time, our cross country team got two new SkyMax Star paramotors. 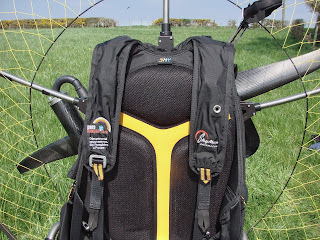 By now, we have done 40 hours on each paramotor. 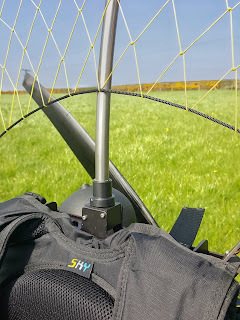 I can say that we love these machines, very impressed with the difference to other paramotors we have flown before and would love to share our experience. Just to give you a bit of background. SkyMax is a Russian manufacturer, known for building light and solid machines using high quality titanium and aluminium materials. However, we had a special reason behind getting these paramotors. SkyMax introduced quite a few innovative features when designing the Star paramotor and we were really keen to try them. These features are: Soft Fuel Tank, Torque Compensation System and Cross Bar Weight Shift System. 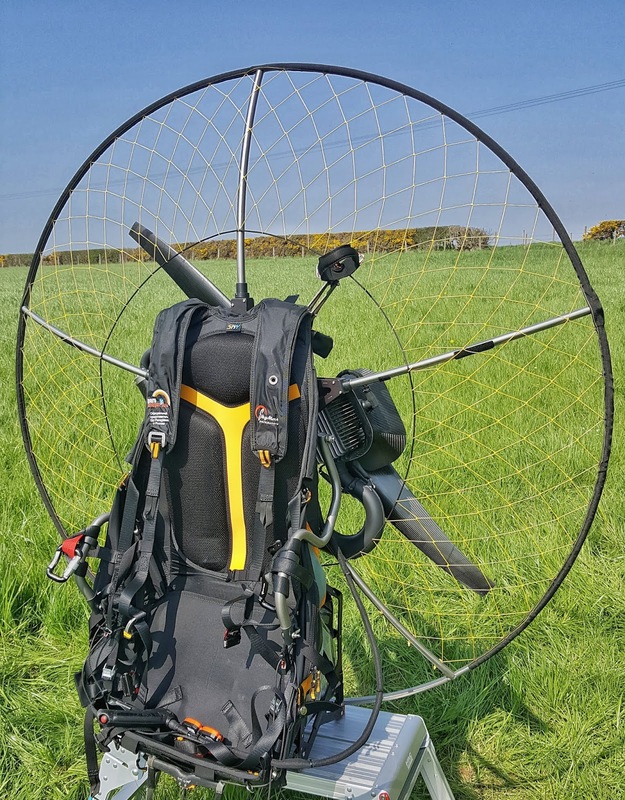 Worth saying that Cross Bar Weigh Shift System has been introduced in the paramotoring for the very first time and it is designed to compensate the tendency of the wing to turn left or right during the flight. 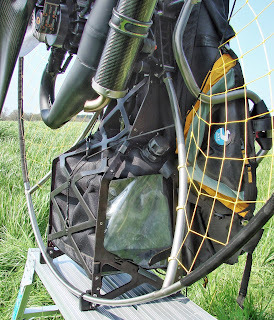 We trust that it is revolutionary thing and you will find it on every paramotor in a few years time. In terms of the engines, from the variety of options available we decided to go for Moster 185 Plus because of its power to weight ratio and availability of spares to service it. The “heart” of the frame is built from the aviation grade aluminium in a shape of the star, giving the name to the model. It is incredibly rigid and holds four folding and one screwed in connectors with titanium rods. 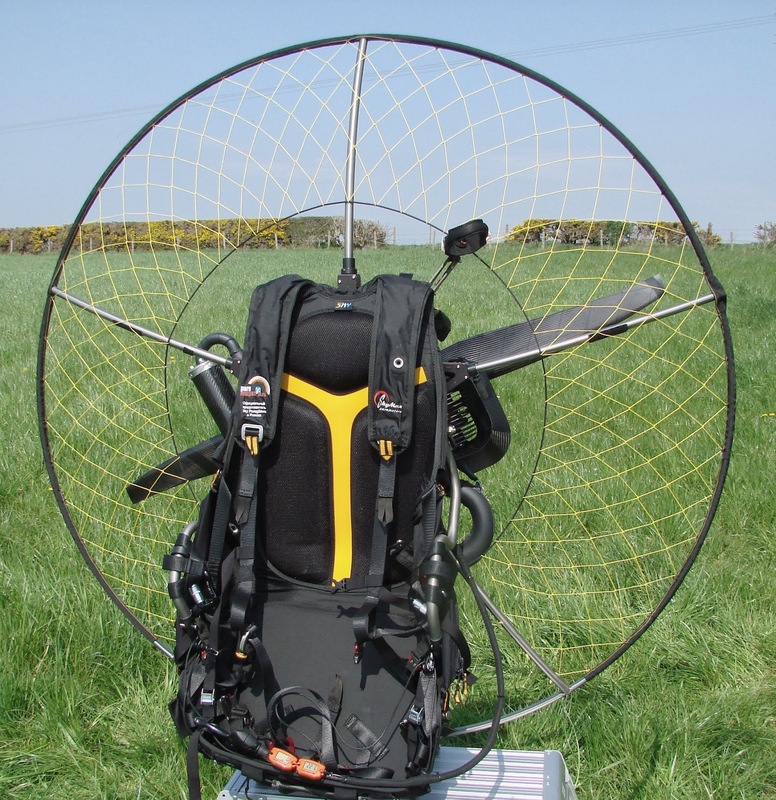 In contrary to many other paramotors, it takes literally just a few seconds to get the rods up into working position. The cage is built from titanium oval shaped which are much stronger compared with the same weight tubes of round shape. 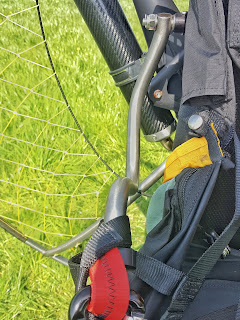 The net is manufactured from Dyneema and when it's being assembled, it is tightened up using a small pully block, halving the effort you need to apply to tighten the net. 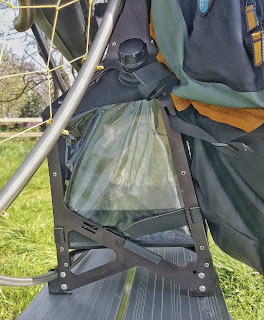 What was really important for me is the time required for assembling and disassembling the paramotor. 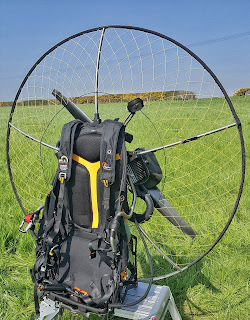 It is just because I am travelling with the paramotor in my boot and need to spend as little time as possible for assembly. That’s one of the best of not the best time in our sport. The lower part of the frame usually contains 15l soft fuel tank but our version is bigger for long cross-country flights and has 18litres capacity. A few words about the Soft Fuel Tanks. When we first heard about the soft fuel tanks we were quite skeptical but the fact that soft tanks are widely used with small airplanes convinced us and we decided to try it. What can I say – when we tried, we loved it. The most important thing about it for me is that there is no smell at all from the tank even if you constantly keep the fuel in it. In contrary to hard fuel tanks, it shrinks during the flight but then it has a space to expand afterwards when the pressure and temperature changes. It means that if you need to have the motor in your cars boot for weeks there will be no smell and this is the very first paramotor, which I can keep at home with no smell of petrol from it. There is no air tap and you will never forget to open or close it. When the fuel is sucked from the tank, it simply shrinks inside the soft case and aluminium cage. That’s why you can use all the fuel from the tank up to the very last drop. Fuel tank is very well protected by aluminium cage from all the sides and there is no chance to damage it even if you landing is not perfect. The only thing to be aware of with the soft fuel tank is that if you are using the mirror, it is not so easy to see the fuel level. Therefore, it would be a good idea to calculate the quantity of the fuel you will need in advance, which you are probably doing anyway. Now we are coming to the most exciting part of the review – some Know Hows by SkyMax. 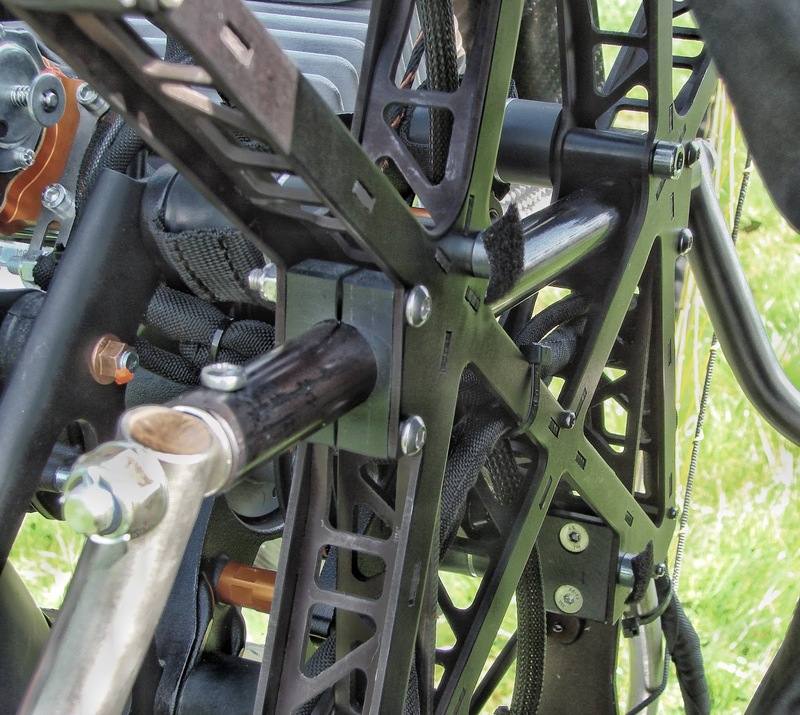 S-type titanium horns of the paramotor have quite a complex shape. Left and right ones are different as well. This is introduced to compensate the twisting moment generated by the engine. This solution generates no parasite drug in comparison to propeller-like inserts in the cages of some (we all know them ) paramotors. The principle is to move the thrust point of the motor in the opposite direction of the twisting force generated and to compensate it. To reiterate, this system has been introduced into paramotoring for the very time. It is designed to compensate any tendency of the wing to deviate from a straight forward flight. It means that if the wing is turning right or left all the time, you can easily adjust the central cross-bar setting so to eliminate this effect. All that you need to do is to loosen four screws and move the cross-bar holding the horns to the left or to the right side. This system has sort of double effect. 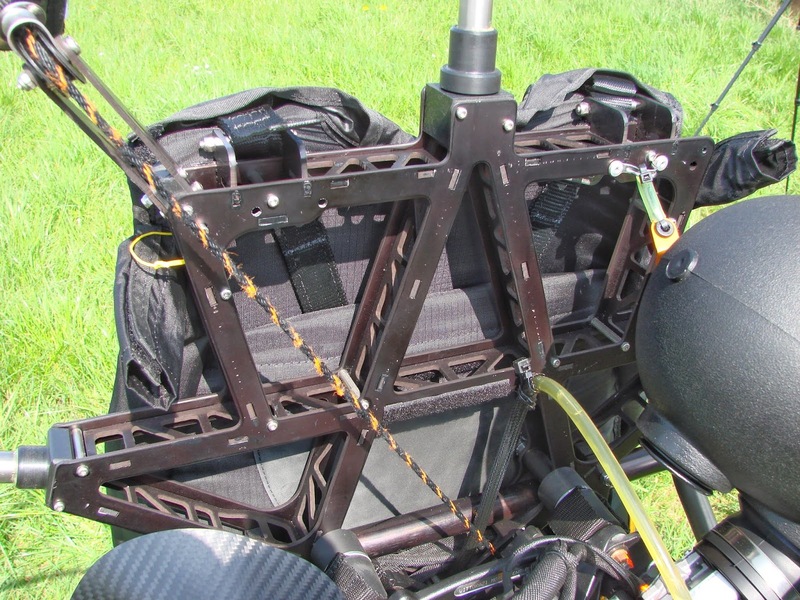 Firstly, it is an analogue of weight shift steering used by free flight pilots but it is much more effective because the combined weight of pilot and paramotor is moved. Secondly, the thrust point of the engine is being moved in relation of hang points, which also is changing the balance of the whole system. It is so sensitive that just 5 - 10mm of the shift is usually enough to compensate the tendency of the wing to turn left or right. My teammate’s wing was turning right all the time with his previous paramotor (especially with the speedbar pressed out) and he was quite used to constantly holding one brake during the flights. After adjusting the Cross Bar this problem has gone completely. That’s how it works. Most of the harnesses including the split leg ones can be used with Star Frame, but we decided to go for Sky Paragliders harness, tailored to be used with SkyMax Star frames. It is quite similar to SupAir Paramotor Evo type, having the same comfort during long cross-country flights but weights half a kilo less. Weight reduction became possible due to the removal of all the straps, not used with S-type horns and replacement of the wooden seat with a plastic one. 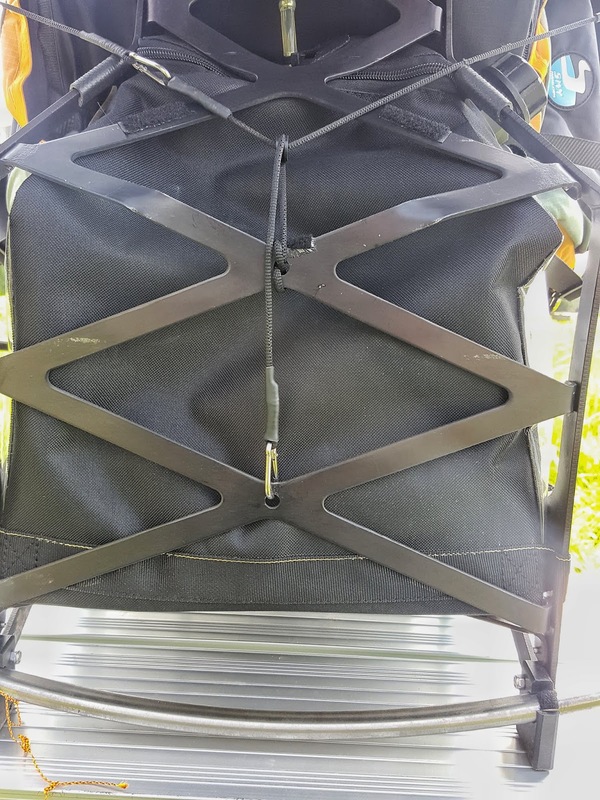 The harness is supplied with the side reserve parachute container as standard, it has one more pocket on the other side, the back compartment is for the foam insert to reduce the vibrations and a large pocket underneath as well. First question we have asked when we were contemplating getting SkyMax Star frames – is the power start available. Cross-country flights sometimes can be quite demanding in terms of the take-off, such as limited space. The ability to do the power start is paramount. The answer is YES. When you do the power start, you can apply as much power as you are capable to handle. The frame is very solid. Torque compensation system works great at all the stages of the flight – there is no tendency towards the twist prone position of the pilot at any time, even with full throttle applied at take off with trimmers closed and brakes applied. Another important feature is the ability to use the body weight shift for steering. Having S-horns, you are able to control the direction of the flight with your weight shift easily. Our team is specialized with cross-country flights as just recently we flew from Porthmadog to Wirral (65 miles flight). Because of the strong thermic activity and to avoid the turbulence, most part of the flight we flew over the cloud base at the altitude around 9 000 feet. To keep the hands worm we just used the weight shift steering and it was really helpful to be able to do so. At the same time, when you fly through the turbulent zone or thermic, S-horns are delivering just the right amount of info. It is not over informative and shaky to make you uncomfortable but it is getting you just right amount of awareness that it is better to keep your hands on the brakes to be prepared for active steering. 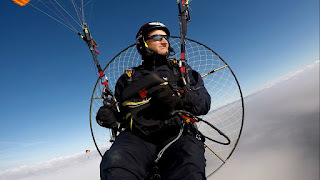 As a conclusion, To get it in one sentence – we are delighted with the performance of Star Paramotors. All the new options introduced within these machines work really good and we are looking forward to getting more cross-country flights with Stars this year.